At the end of the day if you have never heard of sealing your ends this can sound more complicated than it really is but sealing your ends is simply locking in moisture. Your ends are the oldest part of your hair and naturally when anything ages extra steps are needed to aid in a healthy upkeep. Especially the curlier the hair the more fragile because at every curling point along the strand is a potential point of breakage but also because the sebum from your sebaceous gland has more difficulty traveling down your strands. Now you might be saying the sebum from the sebaceous WHAT!!! What the freak are some sebaceous glands? To be honest, when I first heard of sebaceous glands it sounded like it belonged on some type of fish but they are actually microscopic glands on the scalp that produce an oily substance called sebum to lubricate the scalp and hair. Therefore the more curlier the strands the more difficulty the sebum has traveling down to the ends of your strands which means your ends are especially fragile due to lack of natural oils. Sebum is also responsible for the shine of your hair and because of the curly nature of our hair in which the difficulty the sebum has in disposing along our strands, sealing your ends should absolutely be part of your regular routine. Sealing your ends is a process performed after you have moisturized your hair with water and simply coating them with your choice of oils or butter. The oils act as a barrier and hence provide a protective coating to your ends. This means your ends will stay moisturized longer because the moisture won’t be able to find it as easy to escape the wall of oil surrounding it. To seal your ends properly you must saturate your ends with water. Placing 100% moisture onto your ends can only be done by water and water alone. Water can penetrate the hair shaft and reach the cortex. There is only one kind of oil on earth to even mention, that comes close to water at such high percentages and that is Coconut oil. Coconut oil is in a league by itself no other oil even comes close but Olive and Avocado oils at much lower percentages can penetrate the hair shaft as well. Depending on the porosity level of your hair some more than others, may need a thicker based butter or oil to maintain a long lasting seal. This may not be a concern for those who seal more than once a week but for others like myself who only seal weekly, I find a heavier condensed butter or oil such as Castor oil works perfectly for maintaining the moisture within my ends till my next seal treatment. Remember the oil’s job is to protect the moisture (water) that was just absorbed by your cortex. More protection equals longer lasting moisturized ends. Also remember sealing your ends is useless if you do not rid of your split ends. Sealing your ends with split ends in the mix will throw your whole healthy natural hair game off. Sealing split ends is like putting tape or glue over your splits ends, heck you might as well throw a band aid over them. The only way to fix split ends it is to cut them off! If you continue to seal split ends for the sole reason of maintaining some length this will be detrimental to the health of your hair in the end because those split ends will simply travel upwards along the strand, dividing that strand a few inches further into two thus making your ends weak, which will eventually break off. So save yourself the headache ladies and cut those suckers off. *Please stay tuned this week as I will share my personal 7 step sealing routine and tips for maintaining long lasting moisturized ends each week. Question. My ends are still straight from years of heat. I’m at about 17 inches in length and Im so close to my goal is there a way to nurse these areas back or get “some” curl back? Or should I just cut my losses? Hey Nia Well it depends on your preference. Since your ends are straight from heat that is definitely a sign of heat damage and depending on how long your ends have been straight typically there is no chance for reversion. If your experience with straight ends was a recent occurrence then deep conditioning of your ends and ceasing of heat might do the trick in some cases. You can try braidouts, curlers and other tricks to blend in the straight ends but since it is damaged you can slowly cut away or just chop off all together. Hi. Just discovered your blog and thought it was so cool because I have two children who I’m always looking for safe and effective products for their hair. I’ve used CD Hair Milk, Shea Moisture’s Hibiscus/Coconut Milk, etc. but started just using raw Shea Butter on their hair which works well for styling but I’ve realized my son’s hair (who has 2strand twists) is dry after a few days. I see now that it is because I’m not doing moisture first than sealing. I do apply the Shea Butter when his hair is wet so does this count has moisture than seal? Eitherway if you could list a few good moisture products it would be great. I also plan on switching to using Coconut Oil instead of the Shea Butter, can I skip the moisture product step if I do this? Please help, lol. Thanks. this was oh so helpful! i cut my locs off in february and have been growing my curls out since then. i swore by coconut oil when i was a dred but stopped when i started growing my hair out bc i thought it would be too heavy. for months they’ve done dynamic things but here recently the ends feel crunchy and the curls don’t fall quite right. i bet this is why… thank u! I love you site very informative. I have two quick questions what do you think of aloe vera juice and water as the moisturizer? Is coconut oil a good oil to seal with since it penetrates the cortex or should you use another oil over the coconut oil? Thanks my hair is porous. I usually wear twists but I workout so rinse/cowash twice per week. I mix it up I use coconut oil but I also use jojoba and castor oil too. Please please please post ur 7 steps I just was looking for an article like this!!! DOES THIS WORK WITH LOCKS? Hey Dee Nekea just commented above you and how she treats her locs. This is right on time. I just trimmed my locs and will do this regularly since I don’t want them to grow any longer and tried sealing my ends with castor oil after washing them today. Worked well along with my moisturizer. I’ve never been able to use any other oil but castor oil bc my hair and scalp doesn’t tolerate them. Hello Dinah Both could work successfully but the only way to know is through trial to see which one your hair responds better too. Also instead of choosing between the two you may have to consider that you need to incorporate both steps into your routine as well. Dinah: the difference between sealing with just water and sealing with a moisturizer or leave in is that a moisturizer or leave in condish HELPS to hold moisture longer than water. Conditioners are specially formulated to hold water molecules and emollients (softeners) in suspension. those molecules are LOCKED into a cream or lotion form and so escape very, very slowly. Water on the other hand is attracted to Oxygen molecules and so constantly moves towards and combines with O2 in a process that is simply evaporation. Bottom line: a system of using conditioner as well as water underneath a sealant will always work longer and better than just water because of the products in conditioners and moisturizers. I personally use the LOCO method which is water, then an absorbable oil like jojoba, grapeseed, or coconut oil, then a moisturizer, then a sealing oil. B using this method, my hair stays soft, springy and moisturized and is neither oily or greasy! 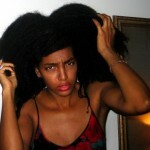 Hi Cipriana–love your vids and of course love your hair. Just a comment about coconut oil. While it is true that coconut oil is easily absorbed, that very trait makes coconut oil a POOR SEALER. Because the molecules of CO are so small and can readily penetrate the cortex, this means those same molecules are to small to prevent evaporation from the cortex. CO is an excellent oil to soften and lubricate hair strands BUT to seal (which as we know, means to lock in moisture in a linear direction) our hair requires denser, heavier oils. 3 Excellent oils are Castor oil, Shea butter, and Vitamin E oil (used only on the hair shaft not the scalp. If naturalistas prefer a ceramide to get that extra boost for healthy hair cuticles, there is also hemp oil and stinky wheat germ oil. 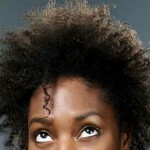 It is important for curlies to realize the difference between a moisturizer and an oil. Oils contain no water. They are the antithesis of moisture products. Moisturizers, butters and conditioners are emulsified products that have water suspended in them. For this reason, oil is used in Conjunction with products that contain water, to seal in hair. 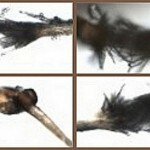 the oil actually blocks and repels the water so that it is directed continually towards the scalp or hair. Of course eventually, the water still escapes through microscopic pores and evaporates (which is why we must continually moisturize) but all in all the LOC or the LOCO methods are great ways to keep our tresses moisturized! I LOVE coconut oil and recognize the many benefits of this oil, but people should not try to seal with it alone. Coconut oil is an excellent carrier oil and blended together with oils that are also humectants (draw moisture from the air) like castor oil or Vitamin E, coconut oil then becomes an excellent feeding as well as a barrier oil. Cipriana, my hair is mid back but I have 2 inches from the end that I can see through. What should I do?